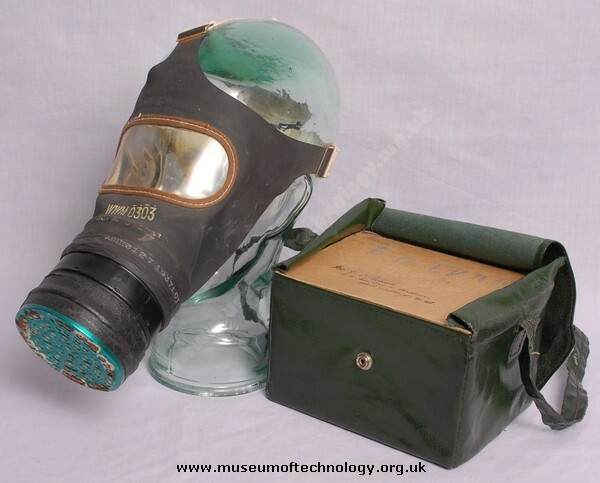 As a girl (14) in boarding school in Hertfordshire, north of London, in England, I was issued with a gas mask in 1938 - along with all the other girls and teachers. It was announced that we should wear them in class for 15 minutes once a week, to get used to them - teacher included. Far from being grim, it was hilarious. Inhaling was fine, but each exhale produced a - Vulgar noise. Everybody, teacher and all, got the giggles. The window tended to fog up, as well. The masks had to be carried everywhere in a little bag.